–Price: 2000 U$ per person. 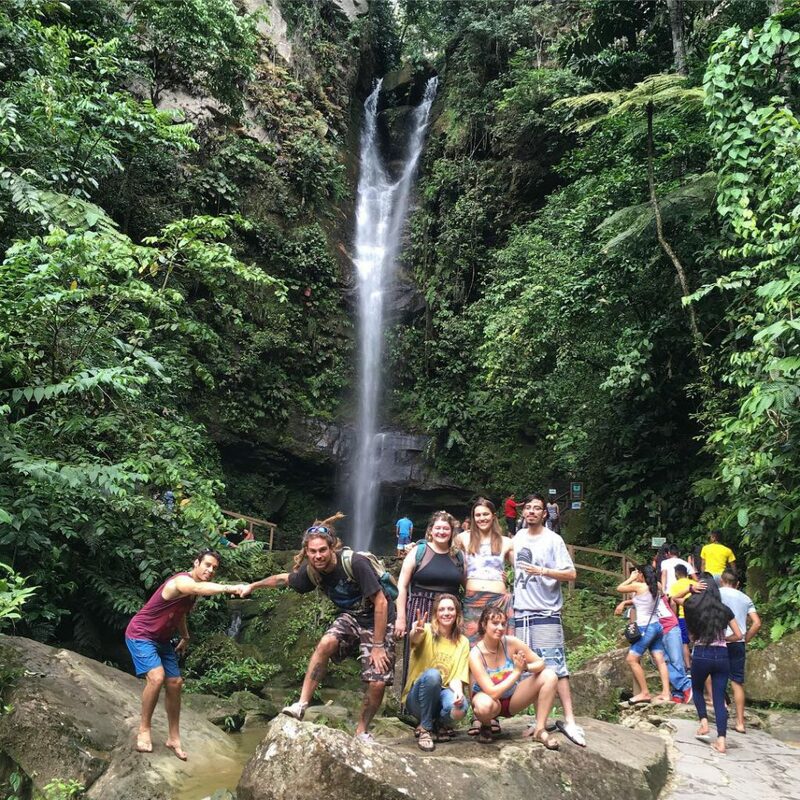 -Guest has to fly themselves to Tarapoto, Peru. Katari will give rides from and to the Tarapoto airport. 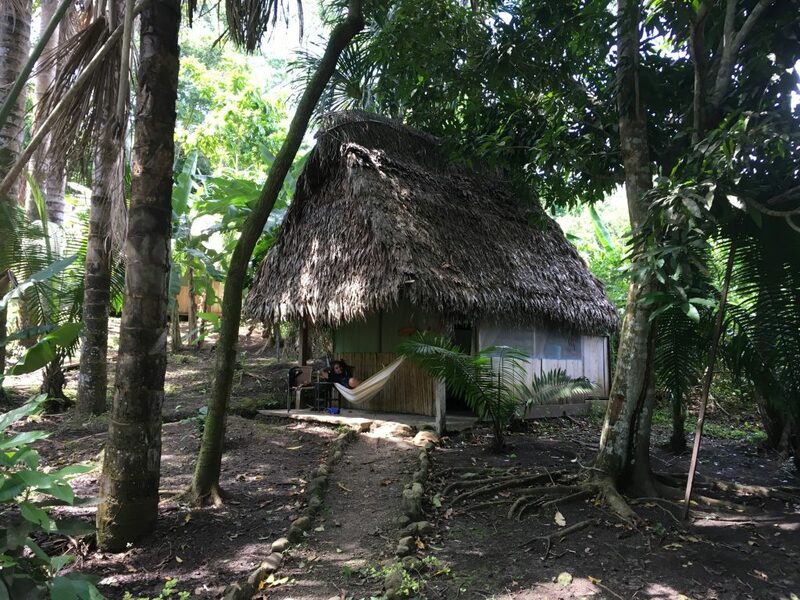 -Guest gets his own rustic jungle hut, which includes a private bathroom. -All meals included (Breakfast, lunch and dinner) during the guest’s stay. Vegetarian and vegan options available. Also “Master Plant” diet available. -3 Sacred Medicine Ceremonies included. 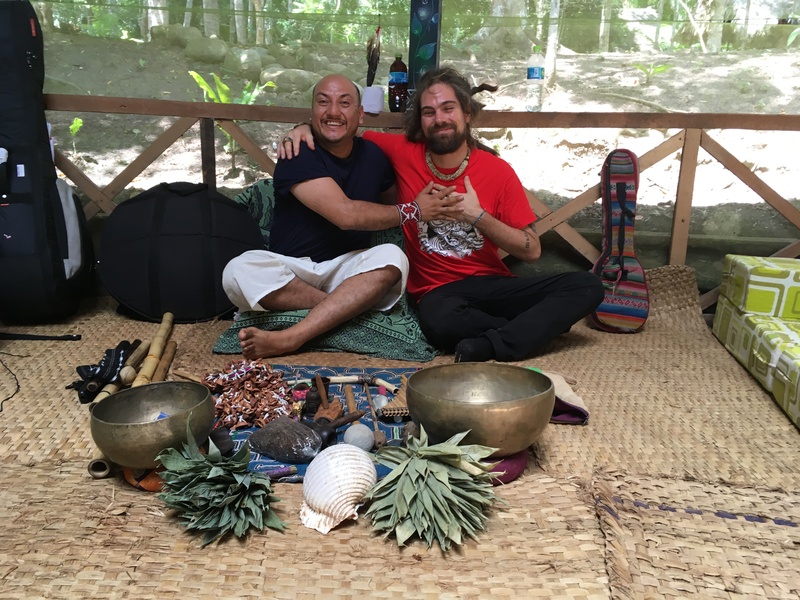 -Traditional guidance by local experienced shaman Herbert Quinteros. 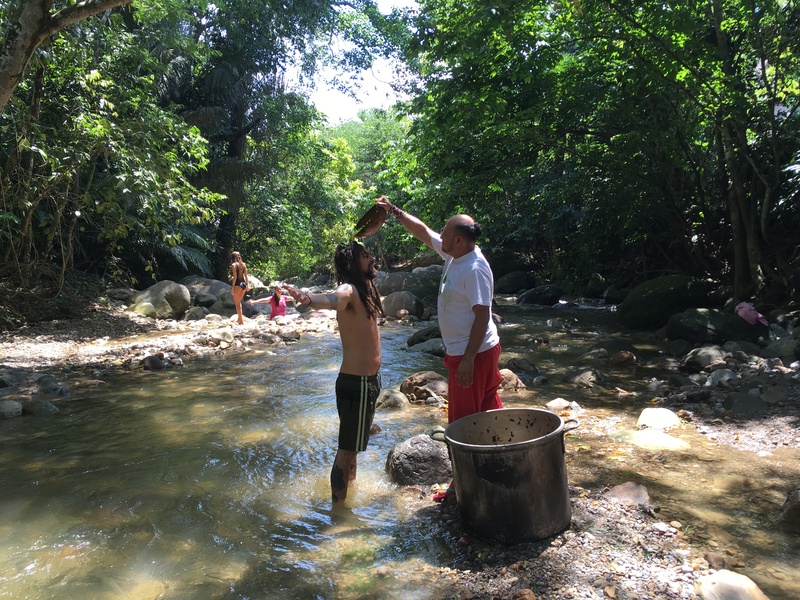 -Additional activities like a “Temascal” (sweat lodge), waterfall visit, plants tour, shipivo crafts market, etc. 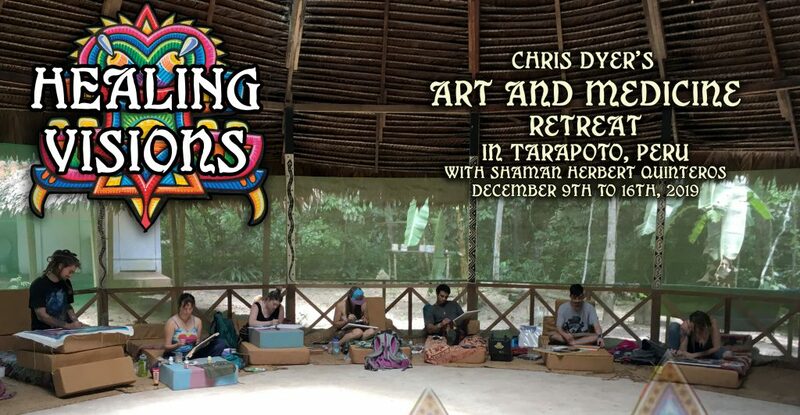 -Art Workshop by Chris Dyer with guest teacher Mauro Reategui (Pablo Amaringo’s eldest student). -All levels of artists welcome! -Attendant needs to fill in a Medical Form to be reviewed by Katari (emailed to you when we get deposit). Hi! 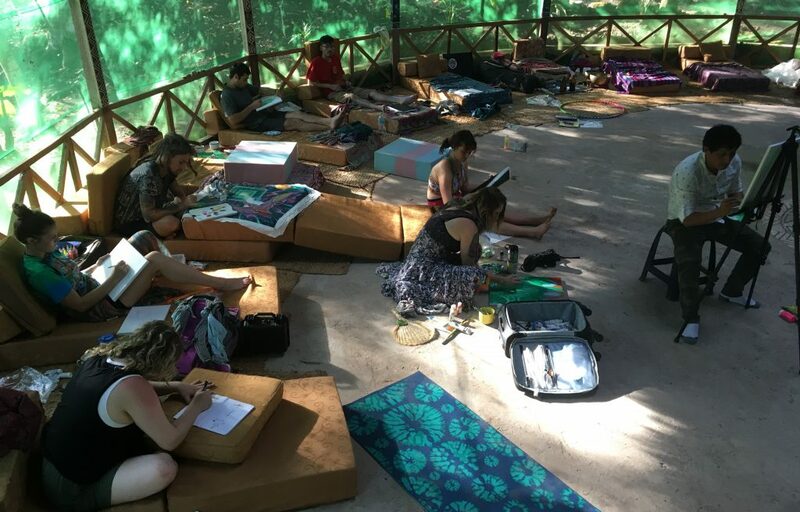 I am very excited about this Art and Healing retreat I am doing for the 4th year, in the Amazonian jungle of Peru, this coming December! This is my favorite workshop I offer because together we will dig to the deepest part of our souls, heal a couple of our human wounds and then make art to reflect what we are feeling and seeing inside. I have been to Katari center a few times and experienced the healing it has to offer. My shaman Herbert is the freaking man, who has helped me so much in the last few years I have dealt with him. From his amazing music to the wisdom transferred to him through the generations that have learnt how to interact properly with the power plants, I am happy to offer his services with you. As for the Art Workshop side of things I will be teaching you as much as I can about my personal art techniques and lifestyle to help you become a better artist in any way I can. I am also happy to have a legendary amazonian artist, Mauro Perez Reategui, offer a guest workshop to teach you how he goes about his own paintings. My goal is to make you overflow with inspiration, so you will create some of your best work yet and carry that energy into the rest of your practice! All that as we heal together and purge some of the dirt that this tricky world gives us! And put us all in the direction to our most positive parallel reality. Arrivals to Tarapoto. Guests get picked up at airport and go to “La Patarashca” Hotel. Chill n swim in their pool. 7:30pm at the restaurant of the hotel for buffet dinner and introductions. Herbert Quinteros (shaman) will be giving a speech about Medicinal plants and the ceremonies we will do together. 9:00- Chris gives his introduction slideshow speech. -People leave when then want, according to their flights. 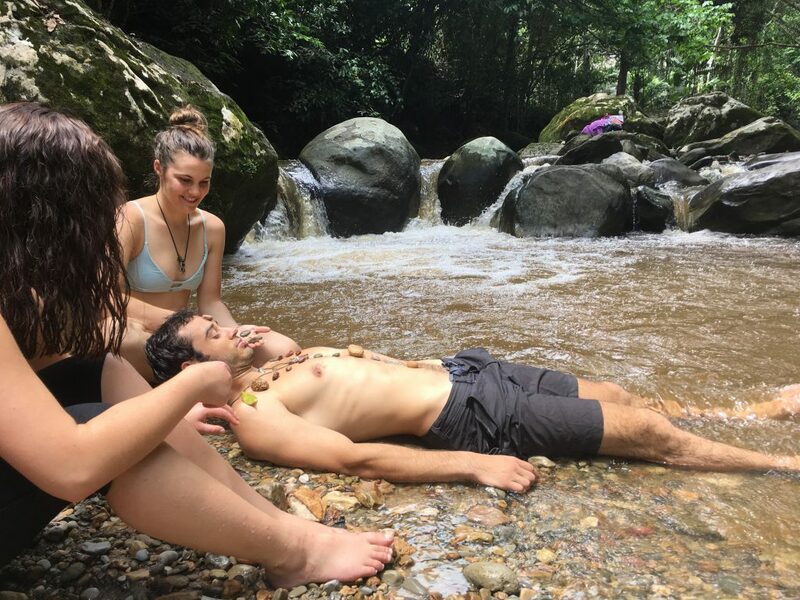 Katari is a healing center, nested in the middle of the virgin amazonian jungle, that caters to people in search of deep personal growth at a physical, mental, and spiritual level. -a new sense of peace and happiness to their life. Since everybody disposes of his or her own nature, there is no general result of the programme- they are as various and colourful as the persons that attend them! was born in the city of Tarapoto, Perú. He started his path and his vocation as a healer 15 years ago. 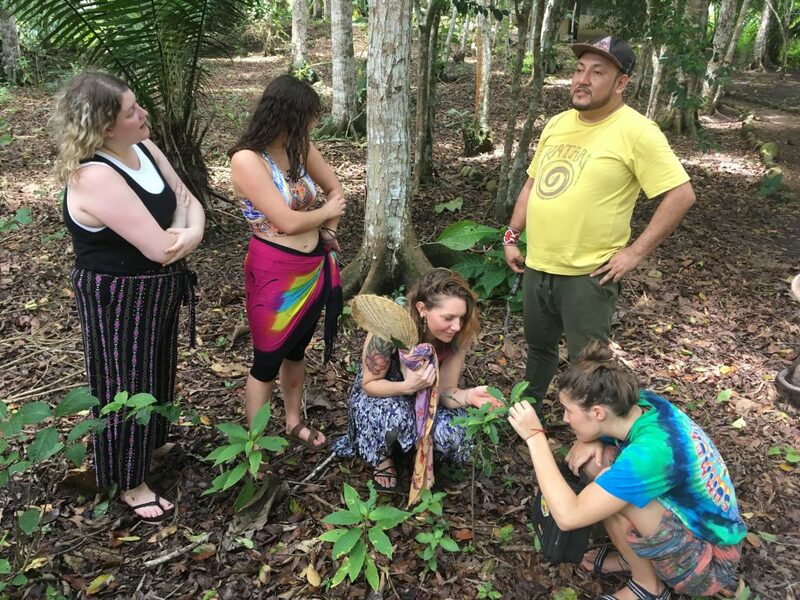 He’s been studying about the teacher plants with Amazonian masters of Shipibo, Cocama, Asháninca as well as Quechua Mestizo ethnies. His proper family has worked with the knowledge of the Amazonian medicines and through his travels he has enrichened and developed his own form of work based on the traditional rituals. Herbert uses the Andean flaute called “quena”, the panflute (zamponia) made of feathers of the condor, the Andean guitar “charango”, the guitar and drums to acompany his healing work. Chris grew up in Lima, Peru and is now based in Montreal, Canada. He lives off his art and the variety of creative services he provides from paintings, to murals, workshops, graphics, etc. He spends a lot of his time travelling the world spreading his art and brand and is well respected in different art movements as Visionary, street and skate art. He’s exhibited his work in galleries and museums worldwide and has 3 published books. He’s a nice guy that will be a good friend, teacher and student during the retreat. Mauro Reátegui Perez is becoming one of the most visible and sought after Peruvian visionary artists. Having trained with the renown visionary Artist, Pablo Amaringo, Mauro has developed a distinctive style that has become known internationally and he has had shows through out Europe and North America. 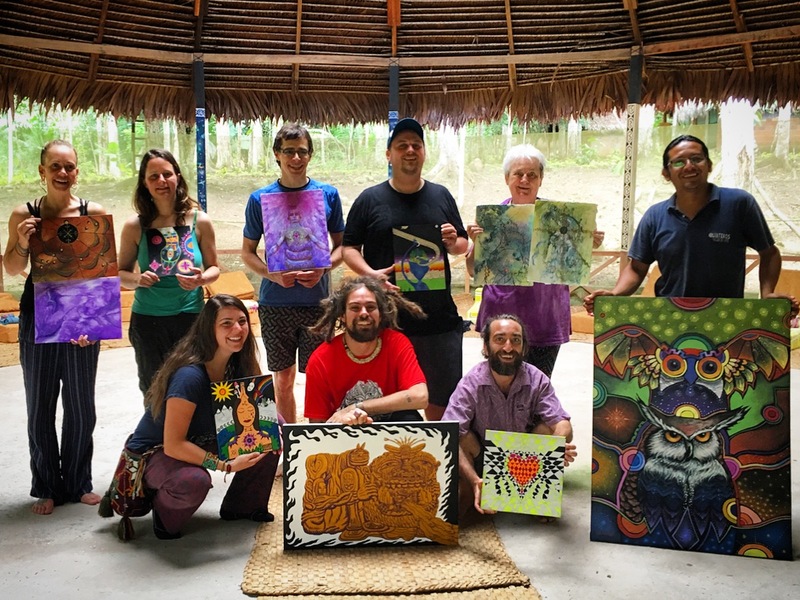 Mauro draws inspiration for the vibrant and rich detailed cosmovision he portrays in his paintings from his own personal spiritual journey working with Amazonian plant medicines and from interviews with shamans that he has made over the years. As well as being a talented painter, Mauro is also a teacher and guide and possesses an extensive knowledge of the cultural life of the Peruvian Amazon. -Art Materials: sketchbook, pencils, sharpener/eraser, sharpie, 1 or 2 canvases (preferably wooden 20 x 15, but bring what you prefer), brushes and paints (preferably acrylics), or your preferred art materials. -Power Block to charge phone n camera. -Your spiritual comforts: palo santo, crystals, earplugs, bandana, yoga mat, etc.